Family law attorneys deal with family matters and domestic relations, including marriage, civil unions, and domestic partnerships. Our family law attorneys assist clients to manage family related legal matters to meet current and long term needs. 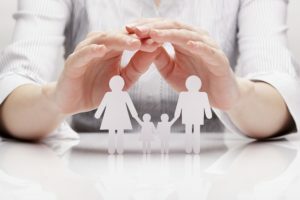 Family Law encompasses any kind of domestic issue, from divorce to child custody disputes. Family matters, whether uncontested or contested, have many emotional and logistical components. It is essential to consider all of your current and long-term needs, as well as the future needs of your children. Recent changes in the law related to child support and alimony make it more important than ever to seek qualified help. Our experienced attorneys have specific knowledge of Massachusetts family law that can help you navigate this difficult process. We can represent all clients in matters of property division, child visitation and custody, alimony, modifications, contempt issues, separation agreements, prenuptial agreements, and all other domestic issues. We also can assist in mediation of divorce issues to save clients significant time and expense. A Category F Guardian ad Litem (GAL) is a person that is appointed by the Probate and Family Court to investigate any case where children are involved, and provide the court with factual information that will assist the judge in making decisions about the child’s best interest. Parties often request the services of a GAL in family law cases that involve such matters as custody, visitation, paternity, removal of a child to another state, parental fitness and any other matter that implicates the welfare of a child. The parties can agree to choose a GAL for the judge to appoint, or the court will appoint one from a list. Attorney Angelique Eliopoulos is a trained Category F Guardian ad Litem, and is available for appointments as a GAL in family law cases in the Juvenile Court. For more information about our practice or legal guidance in Family and Divorce law, please send email here, or call us at 978-250-3800.